Digital technology in the form of the internet and global communication networks has enabled millions of people to start their own side hustles for a very affordable investment. If you don’t want to give up the security of your day job, then a side hustle is a great way to get started. Earning money in your spare time can be a valuable supplement to your income, and if you wish you can build up your side hustle into a full-time business. The opportunities to make money using the power of the internet are numerous, and there’s sure to be a niche that suits your abilities and interests. Before you embark on your side hustle adventure, you need to make sure you have the time and resources to support your activity. Many part-time business ideas require minimal investment, but others may involve a degree of expense, for example joining fees for e-commerce platforms, training courses, website costs, or the purchase of stock, equipment, and materials. You should draw up a business plan, which doesn’t have to be too time-consuming for a small enterprise, but will be a valuable document that will help you optimize your revenue. Examine your monthly cash flow, and if you don’t already have one, prepare a budget planner that will allow you to forecast the health of your finances. It’s also a good idea to have a look at your credit rating to ensure you have the means to make sensible borrowing choices should the need arise. If your rating is low, follow the advice on financial planning sites regarding methods to boost your rating, for example by using these unsecured cards to demonstrate your ability to manage credit responsibly. You’ll also need to have the energy, enthusiasm and sufficient free time to support the extra work involved in running a side hustle whilst continuing to perform well at your day job. Freelancing: It’s becoming increasingly popular for businesses and individuals to hire externally for project work rather than employ their own staff. There are many platforms available that act as an agency for employers and freelancers that you can register with. You will be able to use your skills, whether that be as a writer, editor, proofreader, SEO specialist, website designer, marketing expert, designer, personal assistant, or administrator, for example. Agencies usually charge a fee or take a commission for work that is completed via their platform, so you need to factor this into the rates you charge to ensure you make enough money for the work to be worthwhile. eCommerce: Opening an eBay or Shopify store, becoming an Amazon affiliate, or listing your art and craft designs on a specialist platform or website are all comparatively simple ways to break into selling goods online. The option you go for will depend on what model you are planning to utilize. For instance, specializing in selling collectibles might be best suited to eBay; selling your own handmade products might do best on a craft-based website; and if you want to import products to sell using a drop-ship method, then Amazon would be the obvious choice. It’s a good idea to do some research on your options to see which will be the most cost-effective. You’ll need to weigh up the charges involved in using the market-leading sites against the cheaper fees of less well-known platforms. You might save money by going for a less familiar service but bear in mind that the big names charge more because they have such a large share of the market. You need to calculate whether you want to reach a bigger audience and make less on each sale, or make fewer sales but take more profit from each one. Investing: It’s now possible to become a day trader from the comfort of your home. If you think you might have a talent for trading on the stock market, there are tools available online that allow you to practice by buying and selling on a genuine market, but in a test mode that means you aren’t risking real money. If you do well and enjoy it, you can set yourself up as a trader, but bear in mind this is one of the riskier options. Starting as a trader is ideally suited to a side hustle because you won’t be putting all your eggs in one basket, and if you do make a loss, it won’t be so damaging if you still have the regular income of your day job to support you. Blogging: Setting up a blog can be done in just a few minutes, and there are many excellent, low-cost blog platforms available that provide you with everything you need to operate a successful blog with minimal investment. It will take a while to build an audience and get enough followers to start monetizing your blog, so again this is ideal as a side hustle. Once you become established, you can earn money from advertising, product reviews, and affiliate marketing, and if your writing is of sufficient quality, you could also branch out into writing posts for other people’s blogs. There are some very helpful guides available online covering how to create, build and monetize your blog, written by people who have a proven track record of earning a good living from blogging. 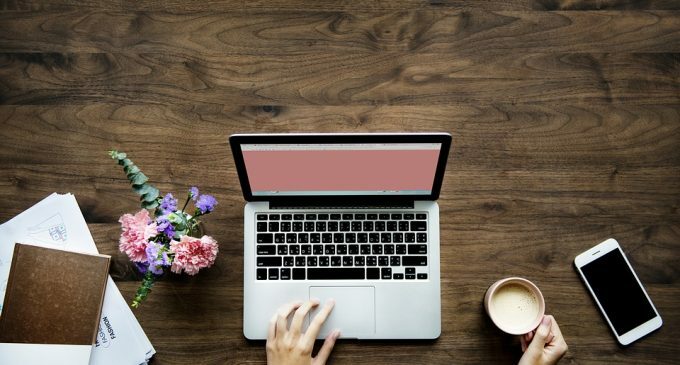 Increasing numbers of people are taking advantage of the opportunities provided by Internet connectivity, and setting up your own side hustle is a great way to dip your toe in the water without taking too many risks. You’ll need to have commitment and determination to succeed with your venture, but there’s no shortage of helpful advice online for whichever niche you plan to specialize in. It’s a perfect time to make use of your knowledge and skills to earn some extra cash, and who knows – you may find you enjoy your side hustle and make enough money to give up your day job!